Dave Neff is the President & CEO of EDGE Mentoring. 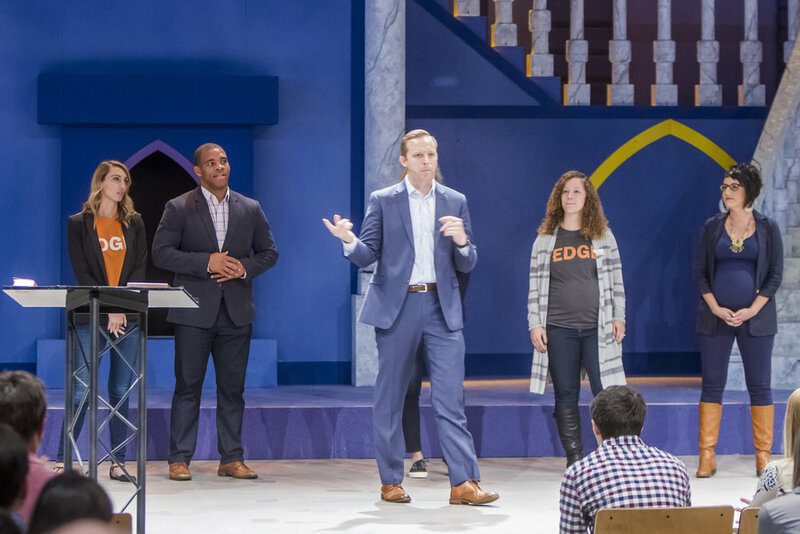 Dave has led EDGE full-time since February 2014 as it has grown from 80 in the program, to more than 450 mentors and mentees from over 30 states today. Dave has taken EDGE from a fledgling startup and built it to become one of the most influential millennial mentoring organizations in the country. Prior to EDGE, Dave was with Pacers Sports & Entertainment (PS&E) for four years as Director of Suite Sales & Services, working with some of the most strategic brands in Indianapolis. After PS&E, Dave worked in marketing with ExactTarget (now Salesforce Marketing Cloud) for 2.5 years as their first ever leader for the sports/entertainment vertical. Dave has a passion for developing top talent, creating strategic partnerships, building winning cultures, and fostering intergenerational relationships through mentoring. Dave was named to the Indianapolis Business Journal’s 2016 Forty Under 40 list, recognizing rising stars in Central Indiana. He was also named a 2013 Inspire Award Winner for his commitment to mentoring in the workplace and community.